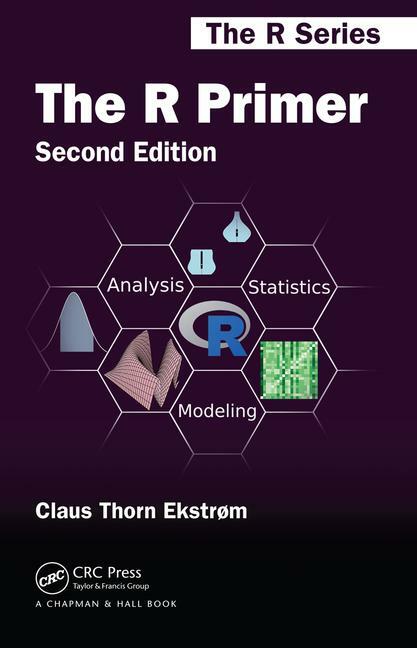 The R Primer provides a collection of concise examples with solutions and interpretations of R problems frequently encountered by new users of this statistical software. The R Primer contains numerous examples that illustrate a specific situation, topic, or problem, including data importing, data management, classical statistical analyses, and high-quality graphical production. Each example is self-contained and includes R code that can be run exactly as shown, enabling results from the book to be replicated. New solutions for covering areas from web scraping over data wrangling to waffle plots and hanging rootograms. Additional intermediate and advanced topics in statistical data analysis including non-parametric statistics, random forests, penalized regression and curve smoothing. The site contains source code, extra material and errata. Claus Thorn Ekstrøm is Professor at the Section of Biostatistics, University of Copenhagen where he teaches courses on statistics and R for beginners and advanced users. Professor Ekstrøm’s primary research interests lie within statistical genetics, genetic epidemiology, and bioinformatics, in particular genetic association studies, image analysis of microarray scans, and integrated analysis of gene expression and metabolic profile data. The 2nd edition has updated the existing solutions to reflect new packages and improvements in R and an extra 33% material has been added.